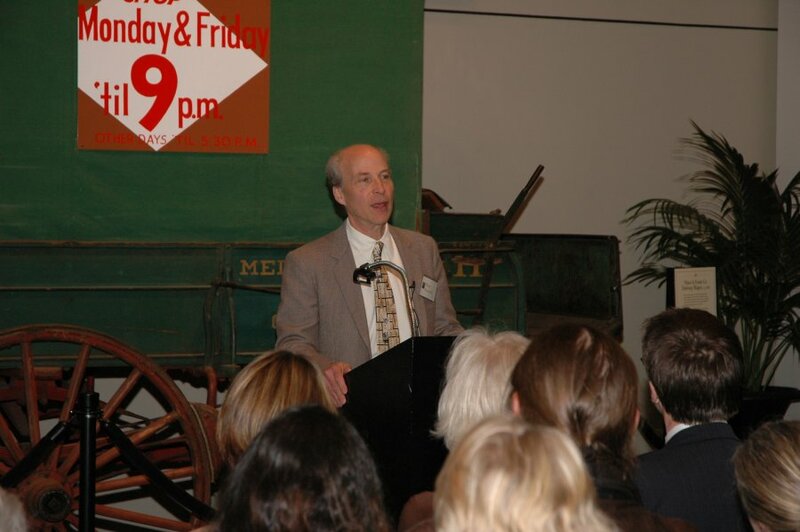 Dr. Roger Kornberg received the 2010 Linus Pauling Legacy Award this past Tuesday and lectured before a capacity crowd at the Oregon Historical Society’s Miller Pavilion. Here are a few images from an entertaining and illuminating evening. 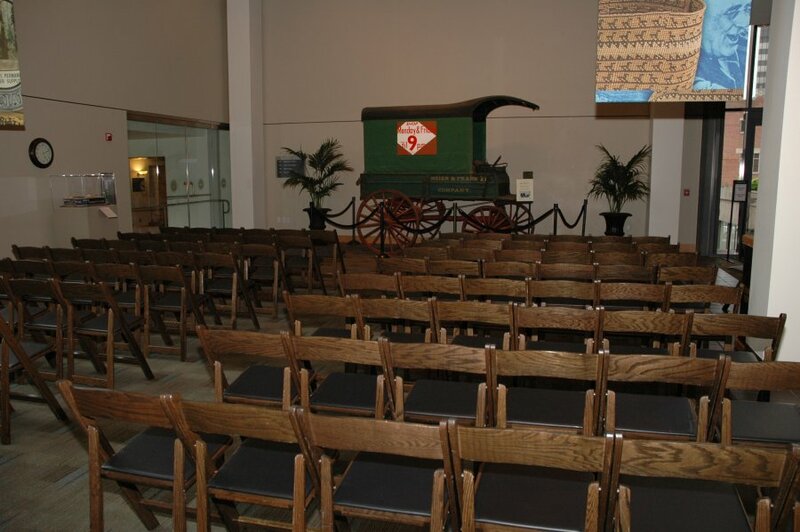 Miller Pavilion, the setting for Dr. Kornberg's lecture. 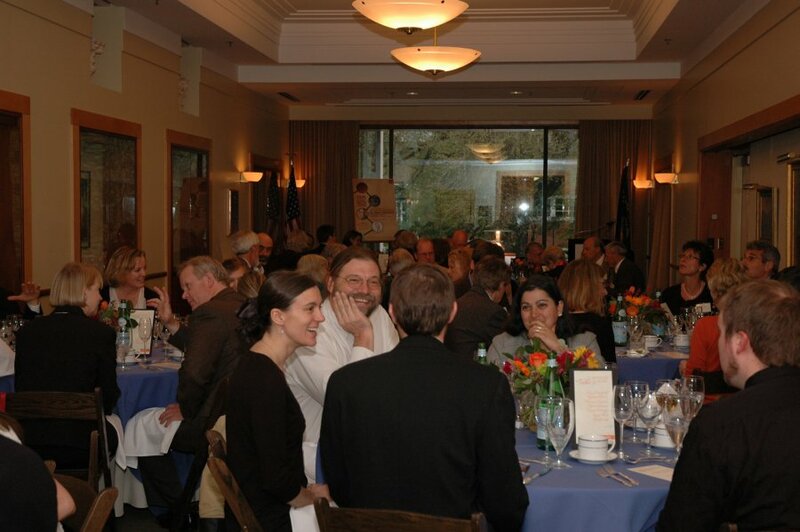 The event banquet, held in the Oregon Historical Society's Madison Room. 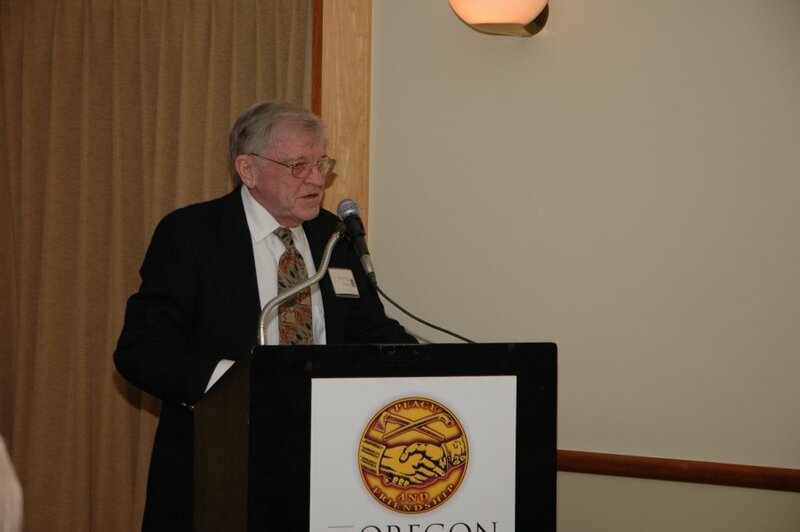 Dr. Kornberg and Oregon State University President Emeritus, Dr. John Byrne. Dr. Linus Pauling Jr., speaking on the origins of the Pauling Legacy Award. 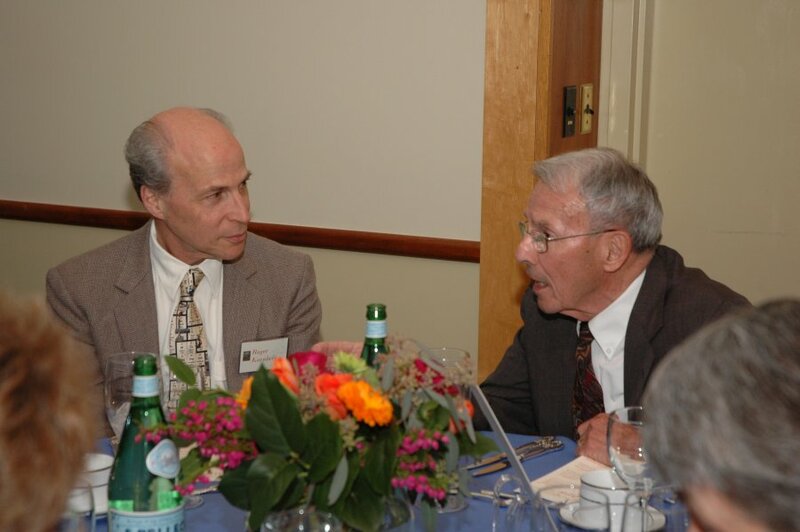 Dr. Kornberg receiving the 2010 Pauling Legacy Award. A portion of the crowd assembled for Kornberg's lecture. The presentation sparked a great number of thoughtful questions. Fully transcribed video of Dr. Kornberg’s lecture will be made available soon on the OSU Libraries Special Collections website. 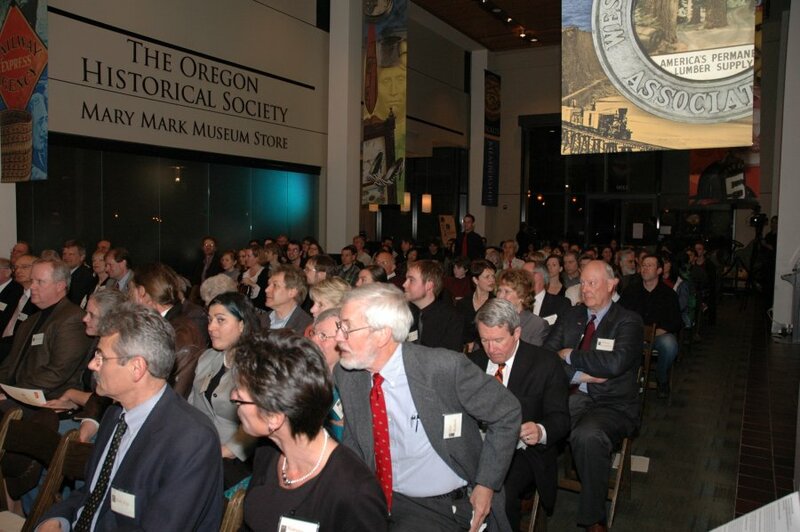 “The Molecular Basis of Eukaryotic Transcription,” a lecture by 2006 Nobel Chemistry laureate Dr. Roger Kornberg, will be presented at 8:00 PM tonight at the Oregon Historical Society’s Miller Pavilion. The event, which is sponsored by Oregon State University Libraries, is free and open to the public. Kornberg is visiting Oregon to receive the Linus Pauling Legacy Award, presented by the Oregon State University Libraries. 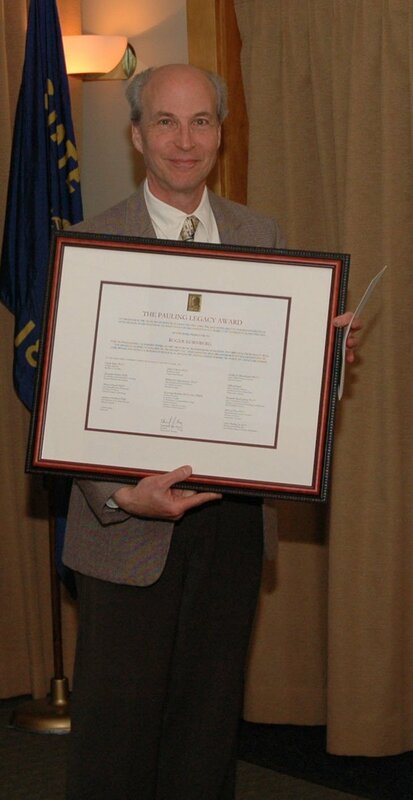 This award is granted once every two years for oustanding achievement in any of Linus Pauling’s areas of research. Past recipients of the award include Daisaku Ikeda, founder of Soka Gakkai International; Nobel laureate physicist Sir Joseph Rotblat; Harvard University biologist Matthew Meselson; Caltech chemist John D. Roberts; and Nobel laureate biophysicist Roderick MacKinnon. 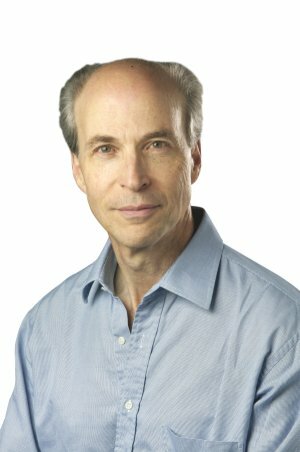 A Stanford University biochemist, Roger Kornberg was awarded the 2006 Nobel Prize in Chemistry for his fundamental studies of the molecular basis of eukaryotic transcription – the process by which DNA is copied. 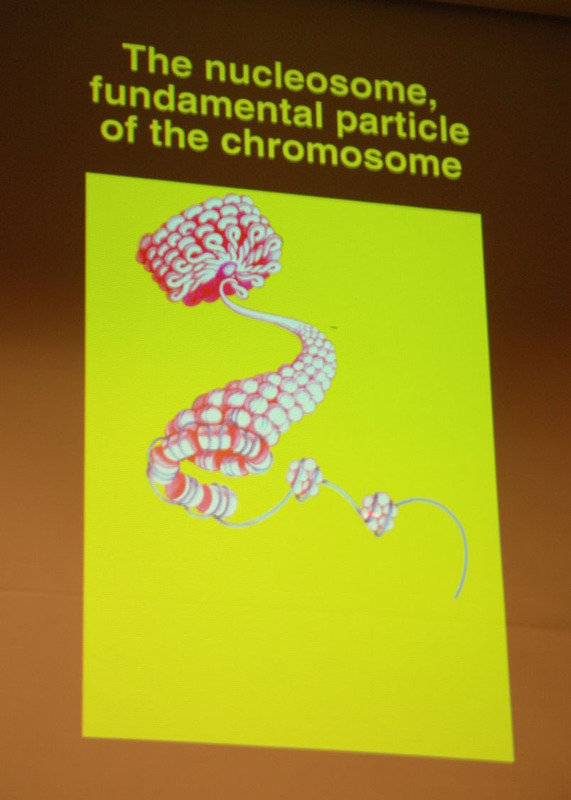 Kornberg’s 1974 discovery of the nucleosome – the basic protein-complex packaging of chromosomal DNA in the nucleus of eukaryotic cells – marked the beginning of his work on DNA. Coupled with his most recent discovery of “The Mediator” protein complex, Kornberg’s impressive program of research has added substantially to the understanding of the mechanisms and regulation of eukaryotic transcription. Dr. Kornberg received his B.A. in Chemistry from Harvard University and his Ph.D. in Chemical Physics from Stanford University. He completed a postdoctoral fellowship at the Laboratory of Molecular Biology in Cambridge, England before joining the Stanford faculty. He has since co-founded Stanford’s Department of Structural Biology, the first of its kind in the United States. In 1993 he was elected to membership of the National Academy of Sciences. In addition to the 2006 Nobel Prize in Chemistry, Kornberg is the recipient of numerous scientific awards, including the 2006 Louisa Gross Horwitz Prize, the 2002 Léopold Mayer Prize – the highest award in biomedical sciences granted by the French Academy of Science – and the 2001 Welch prize, among the most prestigious awards available to U.S. chemists. 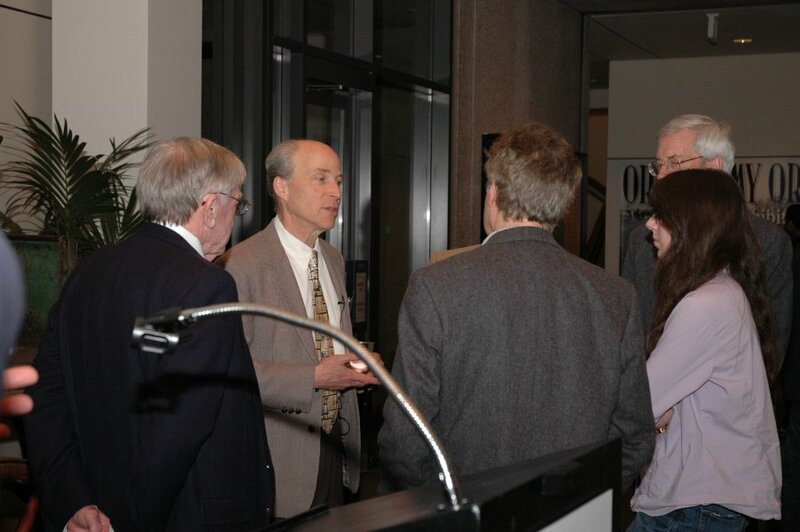 For more information on Roger Kornberg’s lecture, please see the event website and for more on Kornberg’s work, check out his laboratory website. As with MacKinnon’s lecture in 2008, fully-transcribed video of Kornberg’s talk will be made available in the weeks following its delivery.